A picture is worth 1,000 words they say, but images have another use and they brighten up dull text documents. 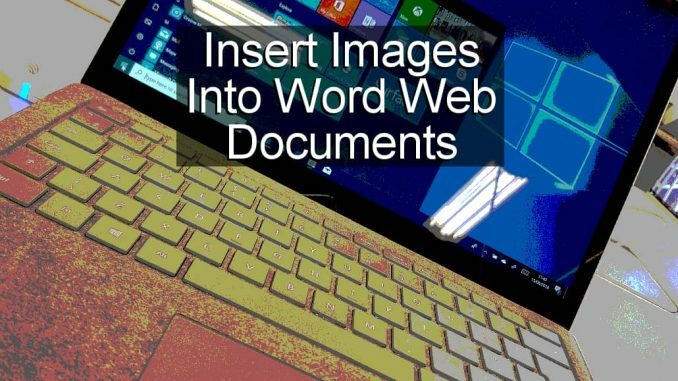 Insert photos into Word documents using the web app at OneDrive.com. For some people only Microsoft Office installed on their computer will do, but for many people the free Word web app at onedrive.com is sufficient for their needs. Word runs in a web browser at the site and it has all the most common features of the desktop application. Let’s take a look at how to insert photos and other images into documents. A splash of colour can make a big difference to its looks. To insert an image into a Word document, select the Insert tab and click Picture. 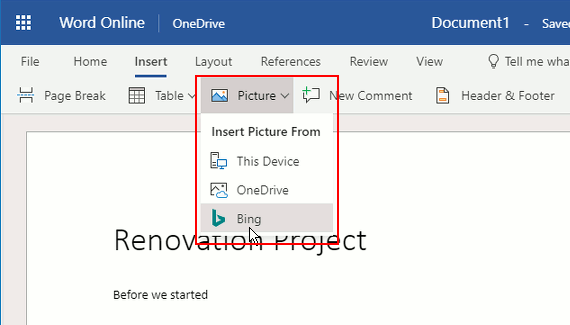 There are options to insert a picture from the computer or OneDrive. What if you do not have any pictures? Just select Bing to find one. A window appears that enables you to search for photos on Bing. 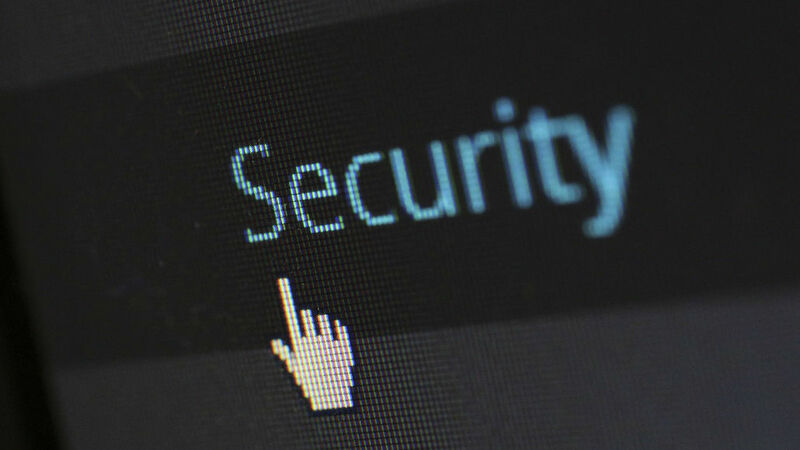 Not all photos online can legally be used in your own documents because some are protected by copyright. 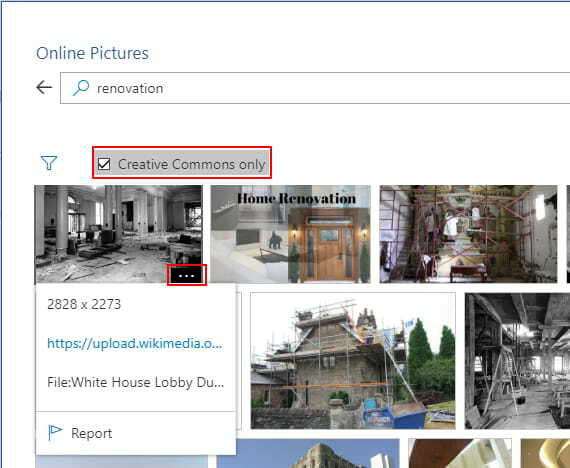 Tick the Creative Commons only box to show only images that can be used. Mouse over an image thumbnail and click the three dots in the bottom right corner to see the image size, URL and title. Click an image to select it and then click the Insert button in the bottom right corner of this window. It is added to the Word document at the current cursor position. Select the image you inserted and then click the Picture tab. Alternatively, right click the image for formatting options. There is a collection of special effects and in the image above the image has been rotated a little, and a border and shadow added. It looks much better than a plain image that was inserted. There are also options to wrap text around the image, rotate it and crop it. 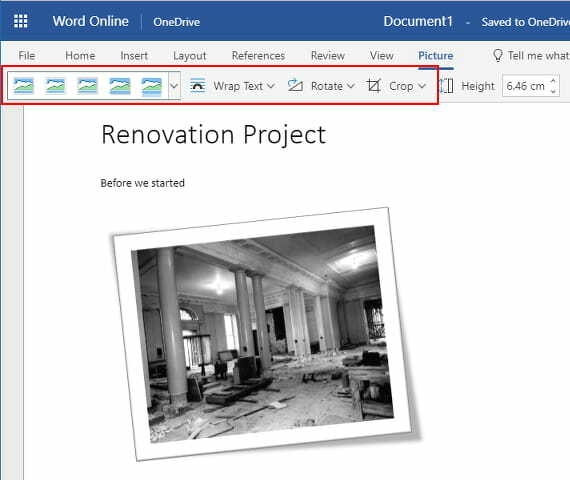 Microsoft Word can be extended with add-ins and this includes the Word web app at the OneDrive.com website. Add-ins can perform many functions and there are a some dedicated to making it easier to find and insert images into documents. There are many stock photo libraries, but if you are looking for free stock photos then Pixabay and Pexels are two good ones that are worth exploring. They contain hundreds of thousands of great photos that can be used in your documents. 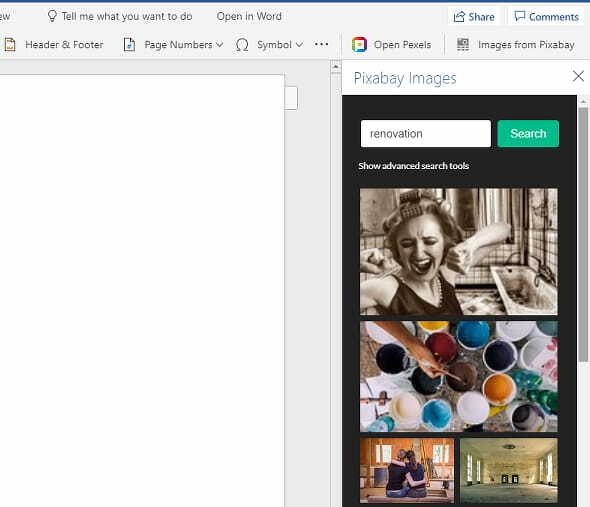 You could open a browser tab, go to the Pixabay or Pexels website, search for photos, select one and download it, switch to the Word web app tab, then upload it to your Word document using the Picture menu. However, there is a simpler way and all you need to do is add the Pixabay or Pexels add-in. Click the Insert tab in the Word web app and then click Add-ins. It is the last item on the right of the toolbar. If you have not yet installed any add-ins, this is what you will see. 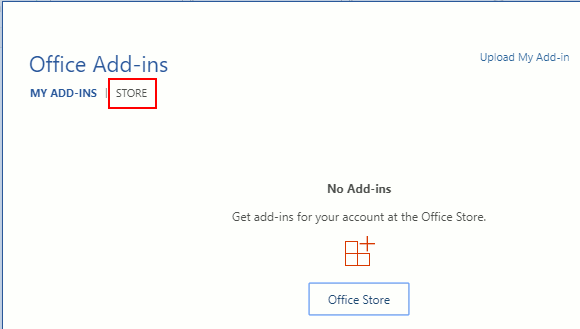 Click the STORE link to open the Office Add-ins Store. Enter ‘pixabay’ or ‘pexels’ into the search box. Click the Add button to install it. Both add-ins can be installed to maximize your choice of images (many appear in both libraries though). The add-ins appear at the right side of the Insert tab toolbar. To use an add-in, click it to open a panel at the right-hand side. 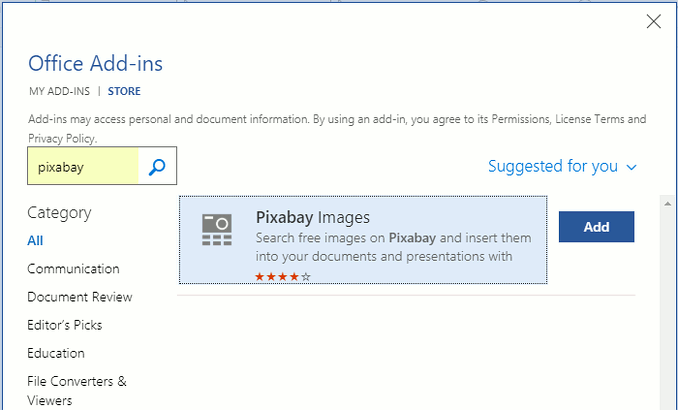 Add-ins have their own unique panel in the Word web app and the Pixabay add-in enables you to search for images on the website without leaving the Word document. Scroll through the images in the panel, perform more searches and find a great image to use in your document. Double click it to insert the image at the current cursor position. 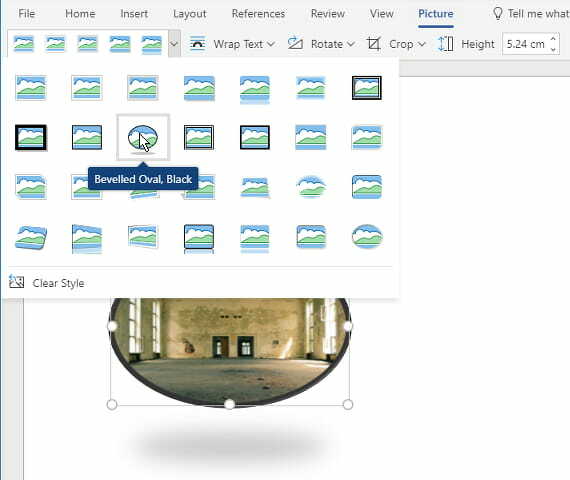 As with uploaded images and photos inserted from Bing, use the Picture toolbar to apply special effects, wrap text, rotate and crop the image. Click and drag the handles (circles at the corners and sides) to resize the image. The Pexels add-in works in an almost identical manner and the stock photos can be searched, browsed and inserted without leaving the Word web app. There is no excuse for dull images now and images can be searched on Bing, Pexels and Pixabay from within the Word document and inserted with a click of the mouse. It could not be easier, so brighten up your Word documents with a splash of color.